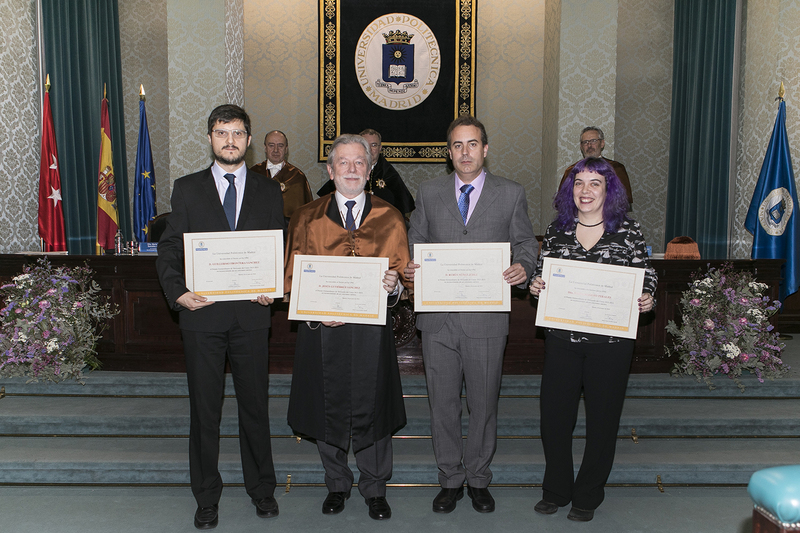 Jesús Gutiérrez received one of the Doctoral Graduation Awards of the Universidad Politécnica de Madrid (UPM) for the outstanding merits of his PhD dissertation on "Analysis of quality of experience in 3D video systems", presented in January 2016. Jesús could not travel to Madrid to attend the awards ceremony due to his activity as Researcher at the Université de Nantes. Narciso García, his doctoral thesis advisor, picked up the award on his behalf.